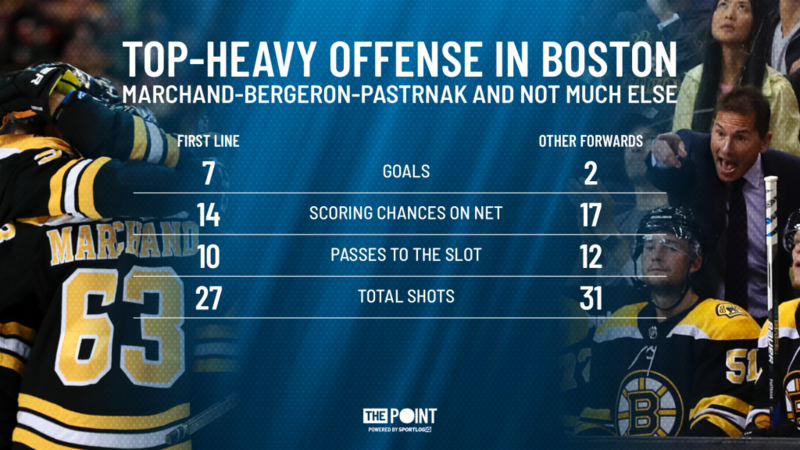 Boston's Offense is More One-Dimensional Than Ever - The Point Data-driven hockey storytelling that gets right to the point. The Boston Bruins were a top-heavy team offensively last season. Their first line of Brad Marchand, Patrice Bergeron, and David Pastrnak combined for 99 of the team’s 267 goals, scoring at least 30 each. It could have been even more had Bergeron and Marchand not missed a combined 32 games to injuries and suspension. The next highest goalscorer on the team was David Krejci, with only 17 tallies. Despite an obvious lack of secondary scoring, the Bruins decided to let Riley Nash walk last offseason while Rick Nash is still unsigned as he ponders retirement. In their place, Boston brought in Joakim Nordstrom, who has 49 points in 284 career games, and… that’s it. 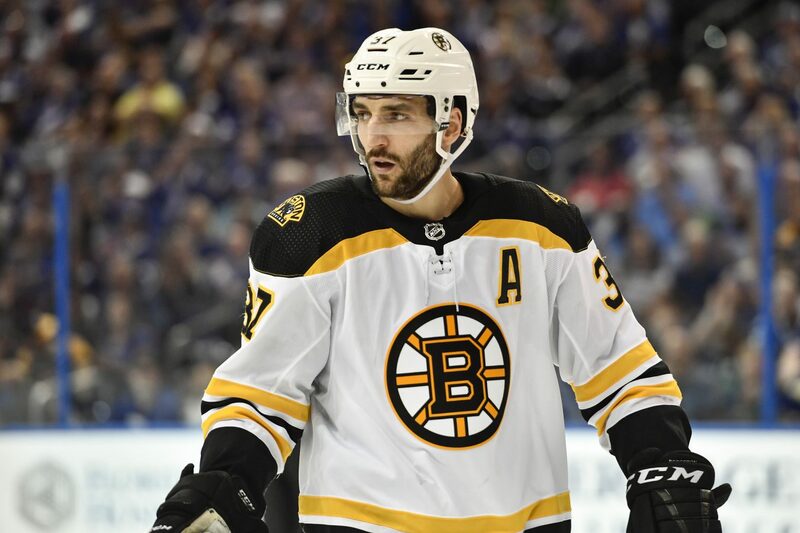 Instead, they bet on youngsters like Jake DeBrusk and Ryan Donato developing and veterans like David Krejci and David Backes having bounce-back seasons. After three games, however, their offense is more one-dimensional than ever. Zdeno Chara, Ryan Donato, and Chris Wagner are the only Bruins outside of the top line to find the back of the net this season. In fact, Marchand, Bergeron, and Pastrnak are nearly matching the performance of all the other Boston forwards combined in a number of categories. Having so much offense coming from only one line is a risky plan. It’s enough to get you past lower teams like Buffalo and the Senators during the regular season, but it is a weakness that will be exploited relentlessly by more talented teams in the playoffs, as we saw last postseason. In their five playoff wins, the top line scored an astounding 12 goals. In their seven losses, however, they combined for only four goals, including three in the same game. Through three games, Boston hasn’t shown anything to suggest it will be any different this season.